Yellow Mesh earrings. Two discs crocheted in gold tone wire trimmed with a beautiful yellow yarn. 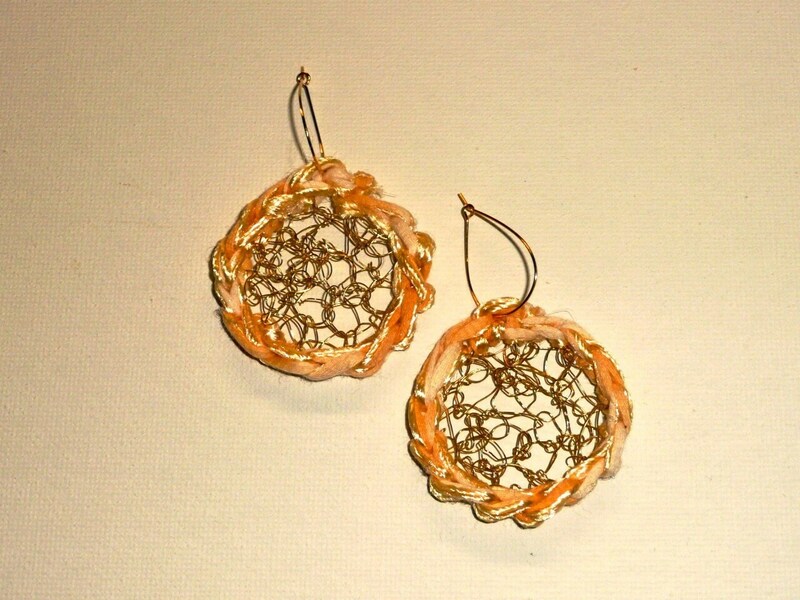 Two discs crocheted in gold tone wire, trimmed with a beautiful yarn in a soft yellow color. These are a beautiful combination of metal and fabric, that will complement the right outfit.